It's not a mystery. fun fun fun This project will have use of the tri rec tool. It can still be as scrappy as you want or you can use as few colors as you like. 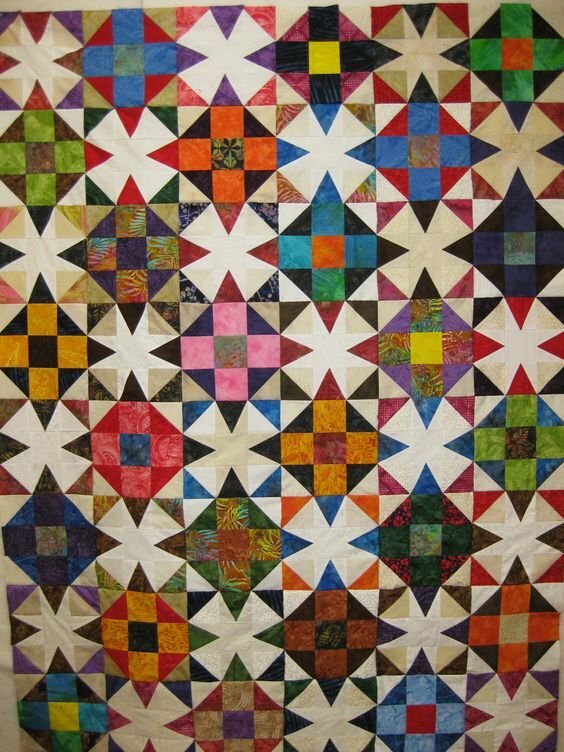 You will still get monthly clues but you will know what the quilt looks like in the end..